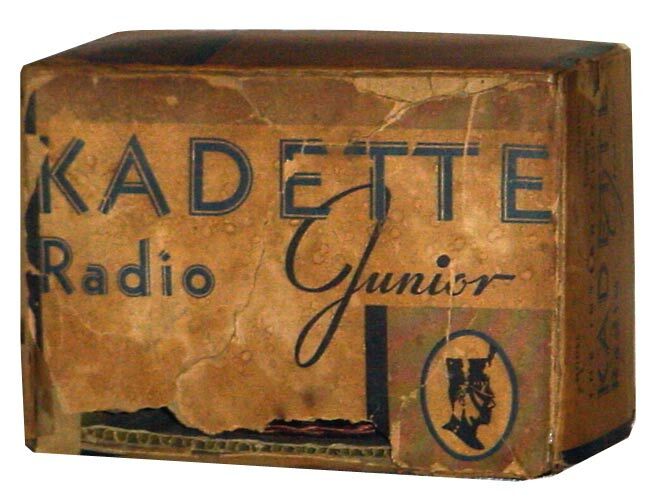 The Kadette model F "Junior" is arguably one of the most innovative radio designs of the Depression Era. 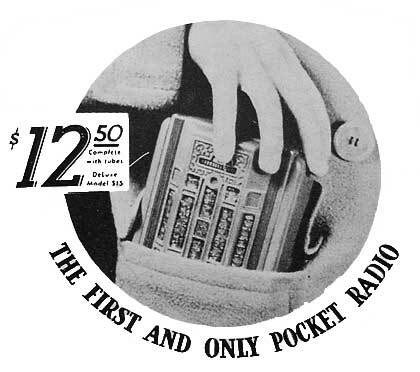 Although not battery powered, this little portable radio measures approximately 4 inches wide by 6 inches tall and contains a whole two-tube T.R.F. circuit! 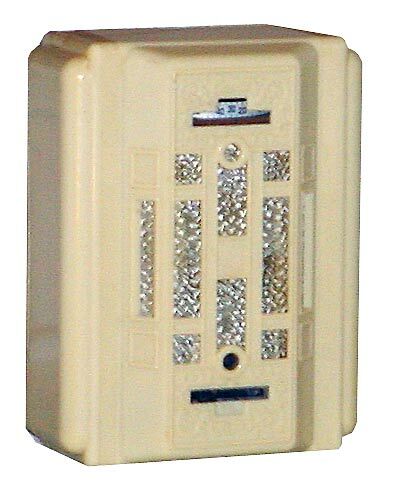 These "pocket" radios are highly sought after by collectors. 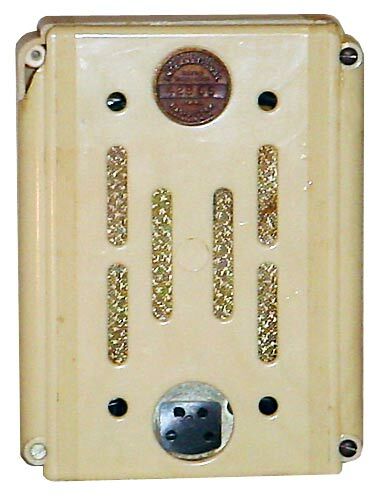 I purchased this one from a local radio estate auction in May 2016. 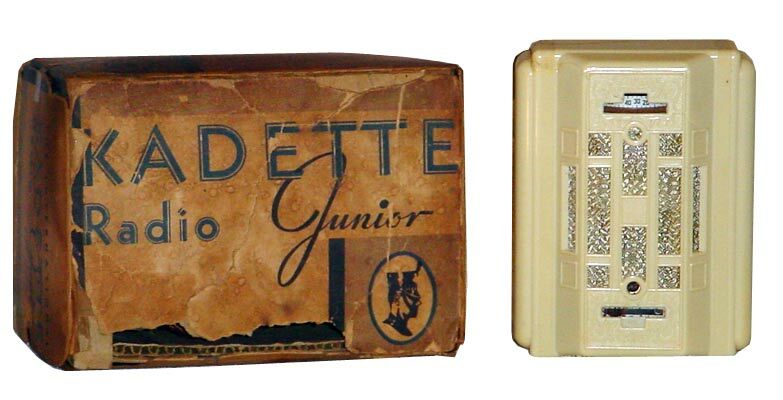 While the "Chocolate Brown" bakelite is the most common and originally sold for $12.50, International Radio Corp also sold these Kadette Juniors in a variety of other cabinet colors including "Circassian Walnut" mottled peanut butter, "Antique Ivory" plaskon and "Chinese Red" for $15.